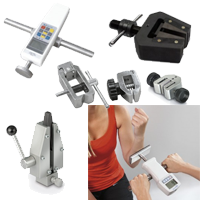 We stock a wide range of force measurement software including analogue and digital force gauges, manual and motorised test stands, as well as specialist software for recording measurement results. 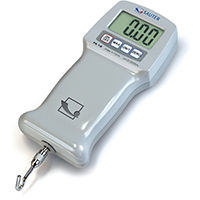 Our analogue and digital force gauges are handheld devices with swivel hook attachments. 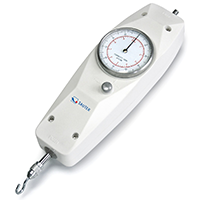 By placing an object on the gauge's hook and lifting, the gauge can accurately record the force exerted by the device and convert this into Newton increments. 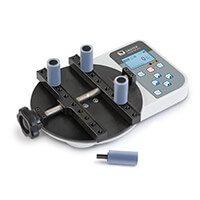 Test stands can be used to suspend force gauges for simple and efficient checks. 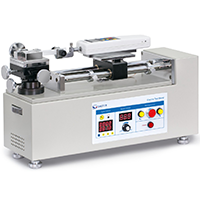 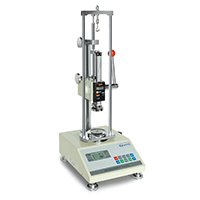 Manual lever test stands are operated by a straightforward lever mechanism, whilst handwheel operation allows the device to achieve more accurate and consistent results than handheld checks. 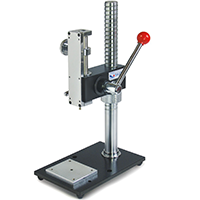 Motorised test stands come complete with a built-in motor mechanism that eliminate the need for levers or handwheel control, they offer greater control and have automatic safety shutdown in order to prevent damage to measuring devices. 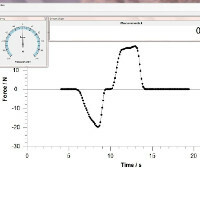 Our software allows you to record force measurement results over a short period of time and provide force progression graphs for recording penetration or pull-out tests.